Dr Silber is recognised by all the major insurance companies. This includes BUPA where he was invited to be a Premier Provider. If there are any queries please discuss this with your insurer or our office. Dr Silber’s fees are in line with fees charged by his colleagues throughout London and the United Kingdom. Fees can vary, depending on insurers. For new consultations, a maximum fee of £300 will be charged, with follow-up consultations at a maximum of £160. For insured patients: Where possible, the insurance company will be billed directly. Please make every effort to provide the correct insurance details and, if necessary, obtain authorisation prior to the appointment. Some insurance companies require proof of a GP or specialist’s referral. Please remember that seeing a private doctor is a contract between you and that doctor. If you have private health insurance then they may reimburse you for whole or part of the cost, but ultimately it is the patient who is responsible for all professional fees, including any shortfall. Please note that investigations, including blood tests, are charged by the hospital, or other providers, not Dr Silber. Please check that your insurance policy will cover these costs as if the cost is above policy limits, unfortunately the patient is responsible for payment and this can be expensive. Dr Silber’s practice accepts payment by cheque, BACS, debit and credit card. Please contact our office for details. If you are unable to attend and/or would like to reschedule/cancel your appointment please call us at the earliest to inform us. Please note unattended appointment and cancellation within 24 hours to the appointment may be charged in full. Dr Silber collects and processes your data in accordance with the General Data Protection Regulation (GDPR), as outlined in the Privacy Notice. 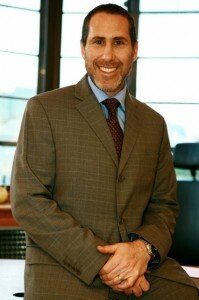 All work undertaken by Dr Eli Silber and by silberneurology.com forms part of the trade of Eli Silber Ltd.